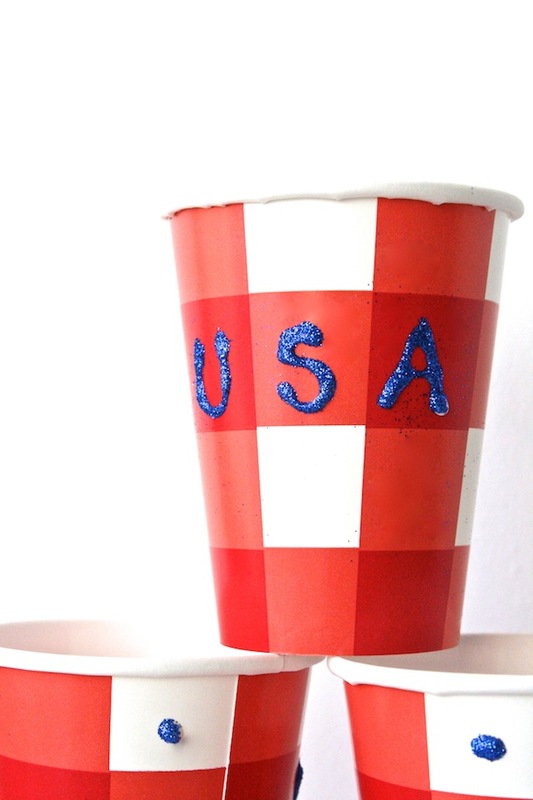 July 4th Party Idea: DIY Sparkly Red, White & Blue Barware—Easy Craft! / Hey, EEP! 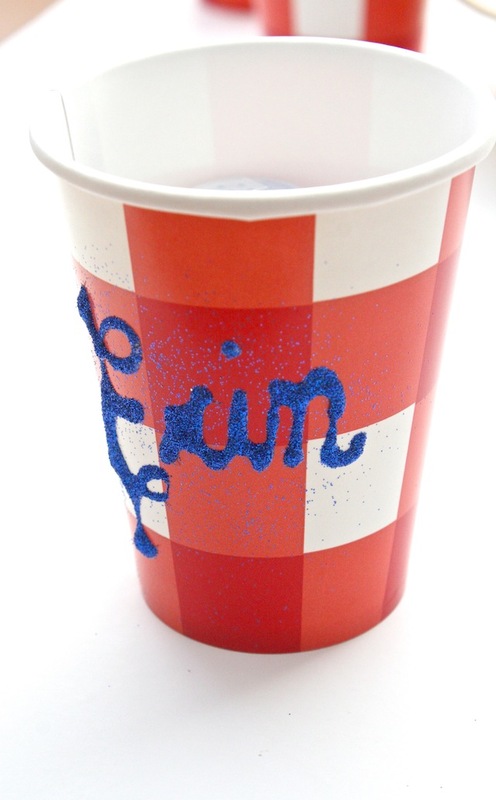 July 4th Party Idea: DIY Sparkly Red, White & Blue Barware—Easy Craft! 1. Cover a work surface with parchment paper (for easy clean up). 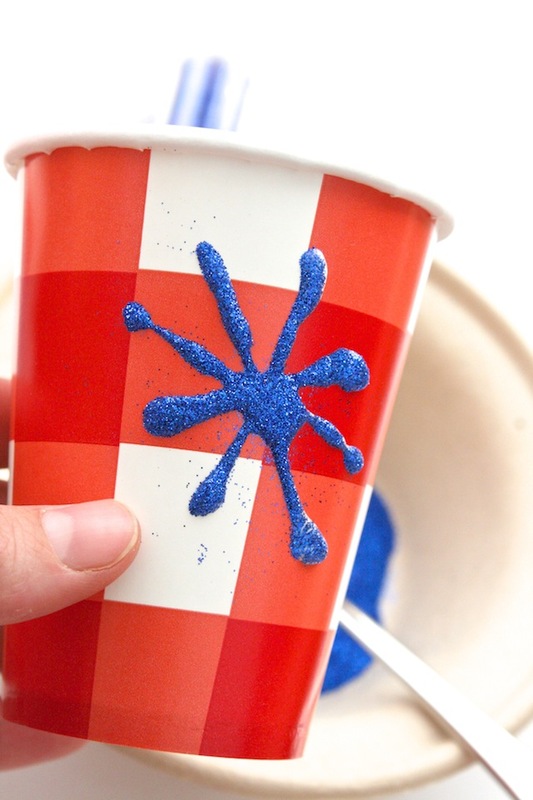 Spoon blue sparkles into a disposable bowl. 2. 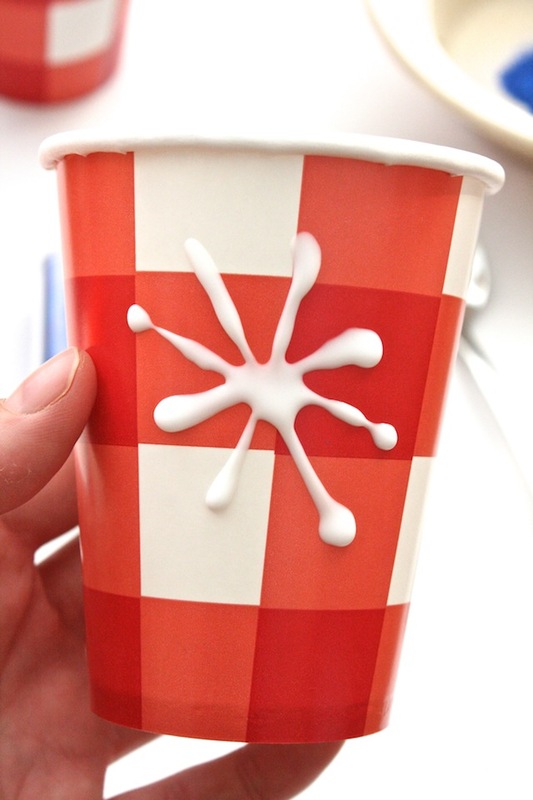 For each red gingham cup, make a design with the Elmer’s Glue (such as a name, firework shape, or USA)! 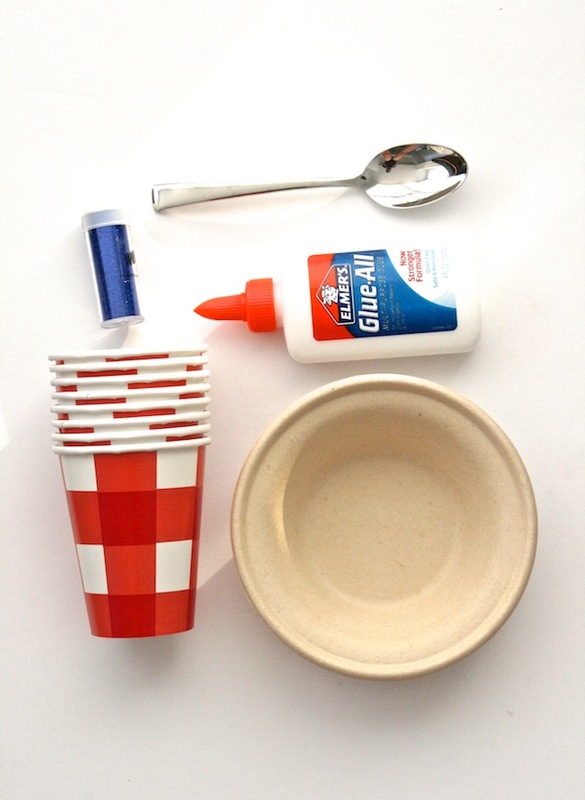 Spoon sparkles onto the glue over the bowl and tap to remove any excess. Let try at least 1 hour before using.